Time and money are two resources no business wants to waste. When it comes to your telecommunications, both of these can be affected in a negative way, especially when it's time to upgrade. Your company is relying on you to find the best option that will not result in a waste of time and money. By now, it's common knowledge that Voice over Internet Protocol (VoIP) telephone systems are the best choice in today’s Internet-driven business environment. It's true. VoIP services are answering many, if not all, of the primary communication needs companies require from telephone systems. It doesn’t take long to run into conflicting advice, though. At Atlantech, we're often asked to clarify confusion about VoIP telephone systems. People want to know if VoIP communication solutions are as useful as they claim to be, and we have the answer. As it turns out, there are many benefits to switching to a VoIP telephone system. Let’s look at some of the ways that making this change can decrease cost and time investments while increasing productivity. As part of the name suggests, a VoIP telephone system utilizes Internet Protocol to make calls. Instead of using telephone lines, all communication data is turned into packets and sent over the IP network. The IP network your business uses could be your Internet connection, a direct IP connection to your telephone service provider, or a combination of both. The important part of the IP connection is that there is guaranteed quality of service (QoS) from your telephone service provider’s network to your office network. Note that if you are using the Internet to connect to your telephone service provider (also called "going over the top), QoS is not possible. Placing calls over traditional phone lines means that a line is taken up by the two callers using it to communicate. Since there are only so many lines that can be installed, calls placed over landlines, especially if they are long-distance, are expensive. But using the Internet to relay call data circumvents this problem, making domestic and long distance calls cheaper overall. Voice becomes just an application on the network... like email. In fact, businesses that use VoIP are often offered plans that include unlimited domestic and international long distance calling. If the phone number that is chosen for the business is in the United States, for example, providers often includes all calls within the "lower 48" of the United States at no additional fee. Calls aren't metered by the minute. If your business is on-the-go, a VoIP telephone system can be a tremendous benefit to you because they will follow you wherever you go. On a traditional phone system, a line that runs to a home or business is assigned its own phone number. Any movement that takes place then becomes a trial of remembering the right codes or keys to dial on your phone. A lot of time can then be wasted by contacting phone companies to transfer services and phone numbers to new locations. With a VoIP phone system, all of this is eliminated. There are no physical limitations. You have the freedom to move as your business demands without any added stress. Using VoIP telephone systems allows you to multi-task with the most tech-savvy devices, helping you maximize productivity. Suppose you are receiving call from within a queue. Many VoIP systems can interoperate with your Customer Record Management program (such as Salesforce) and popup the caller record on your screen so you can know who is calling and what you've talked to them about in the past. In another case, you can forward messages and voicemail easily. If you receive an important message in a voicemail, you can forward that voicemail to other people at the click of a mouse. These features, and many more useful ones are available with VoIP phone systems. And because the service always goes with you, the features you find helpful can be added or subtracted with ease. In short, VoIP telephone systems grow with your business and offers lots of flexibility that wasn't available to legacy systems that tended to operate in a silo. The features just mentioned are not all that’s made easy by VoIP. Since all calls use a converged data network instead of dedicated phone lines, creating and participating in conference calls are made much easier. It’s possible to take part in conference calls if your business uses a traditional phone system, but what you will find is that you will have to pay for an additional service to host multiple callers for a conference. These services are native to many VoIP telephone systems. Instead of paying for something extra, you can take advantage of the ability to make conference calls as an added benefit to the service you already pay for. VoIP services make video conferences much easier as well. Of course, these sorts of conferences are usually special cases, but face-to-face interaction with colleagues and clients, while business personnel are out of the office, is much more manageable with VoIP phone systems. In today’s global economy, businesses can be located anywhere. This often means that meetings require travel. Even so, with a VoIP service, there is no reason to lose the ability to conduct important calls or to fail to forward essential documents. You may have noticed that major companies like Coca-Cola and JPMorgan Chase have eliminated voicemail altogether. 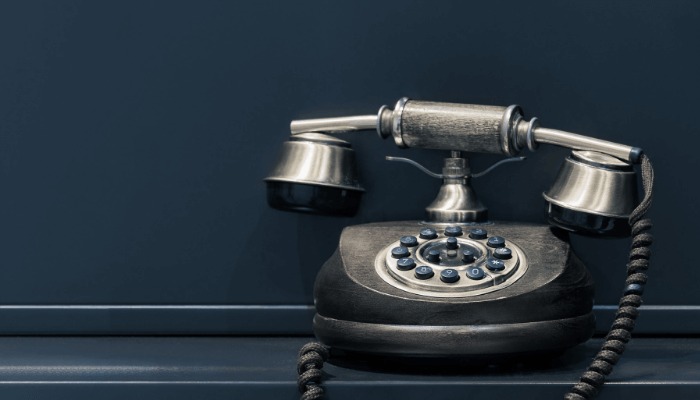 While this sort of move may not be appropriate for every business, some companies have apparently found that answering voicemails just takes up too much time. With a VoIP telephone system, you can choose where your calls ring and how. For instance, you might select the first few rings to be forwarded to your office. If you don’t answer the call, it will then be transmitted to a second or third device, say, a mobile phone or laptop. Important documents that need to be forwarded no longer have to wait either. Using VoIP, business associates can e-fax their documents instead of waiting a day (or several) to get to a fax machine. A common worry that surfaces about VoIP is the fact that if the Internet stops working, so does the ability to make calls. This doesn’t have to occur if you've planned your contingencies. The truth is that call-forwarding, like other features in VoIP phone systems, is incredibly flexible. The capability to choose where your calls are forwarded, and how, means that you also don’t have to lose productivity because of local power outages or weather-related events. If the office phone can’t be answered, your mobile device or laptop can. Considering a move to a VoIP telephone system can be confusing with all of the services and features that are available. Sifting through pages of fine print doesn’t contribute to making the right decision either. It’s always best to have a knowledgeable, reliable advisor at hand to assist you with major business decisions like this one. If you're in the Washington D.C. metro or surrounding areas, our experts can assist you with choosing the best VoIP telephone system for your specific needs and help you implement any changes in the most efficient way possible. We'll also give you a guide with the top questions you need to ask when deciding on a phone service provider. Be confident in your decision by downloading your free copy of 10 Questions to Ask Before You Buy Phone Service for Your Business.